If you’re restoring an old car, there’s no reason to stop at just the outside and the motor! You should think about the inside of the car too. By restoring the interior of your classic car, you’ll help it match the awesome job you did on the inner workings and the sweet paint job. Think about how you want your old classic car to look so you can figure out the best reasons to restore the interior. Old upholstery in cars is often damaged and hard for you to work with. It’s important to consider the damage done to your upholstery before you start restoring your car. If you know it’s damaged, you will know you have to replace it. If your car looks great on the outside, but has a damaged interior, it won’t be a full restore the way you want. If you’ve done a modern paint job on the outside of your restoration, the interior won’t match unless it’s restored. Changing or replacing the upholstery can make your restoration look better and match better. There’s no point in restoring a car if it isn’t going to completely match the idea you had for it in the first place. Believe it or not, the interior can really change the value of your classic car. Even if you didn’t plan on selling the car or doing anything with it, value can make you feel better about the car. It will also help make the car easier for you to use when you want to drive it. 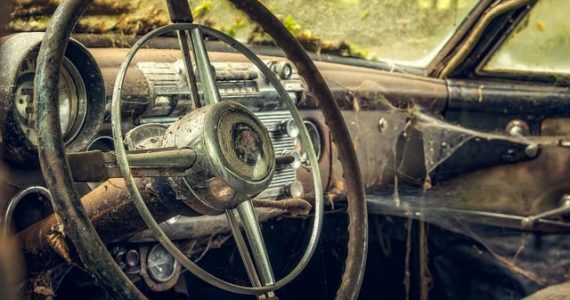 Trying to restore your car can be a huge project on its own. Make sure you get ready for the restoration by thinking of all the things you can do to make the car better. You also need to consider how you want to do the inside. Since the interior is often the last step in the restoration, be prepared for it from the time you start working on it. There are many reasons to restore the interior of your car. You can try different things and do more to help you get the best restoration possible. It’s always a good idea to restore the interior when you’re done with the exterior so you don’t risk any more damage to the inside of the car. ← Cars VS Motorbikes – Which Is Best?